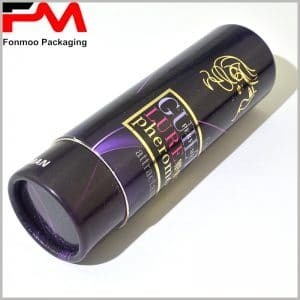 Sometimes it is considerable to get a packaging box that is luxury and fashionable, that is why this special creative cardboard tube box with silver hot stamping and gradual changing color will be a good choice for many. With a common body + lid structure, the box is made of 200g cardboard and 60g chrome paper, light, but robust enough to ensure a good protection. The beautiful color is realized by full-color printing and LOGO decorated by silver hot stamping process, the outcome is a very beautiful and attractive appearance. 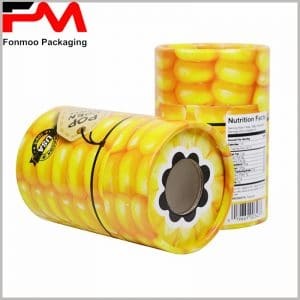 You can use this packaging box for food, cosmetic, jewelry or other high-end products, for which the good package is one of the key elements for winning the marketing campaign. Not only limited to the style shown as the sample, you can contact us to customize your very own tube packaging box based on this model. Just tell us what you need and our professional team will be with you throughout all procedures including design, sampling and mass production, with very flexible condition and good price, to let you get your ideal luxury special creative tube box.